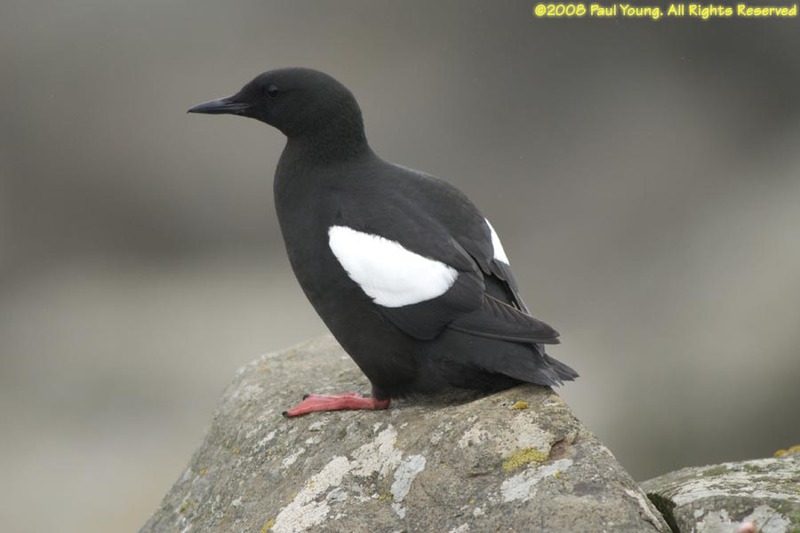 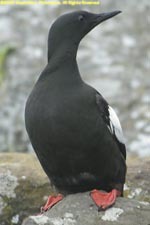 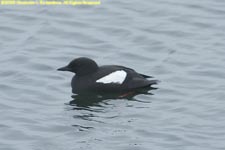 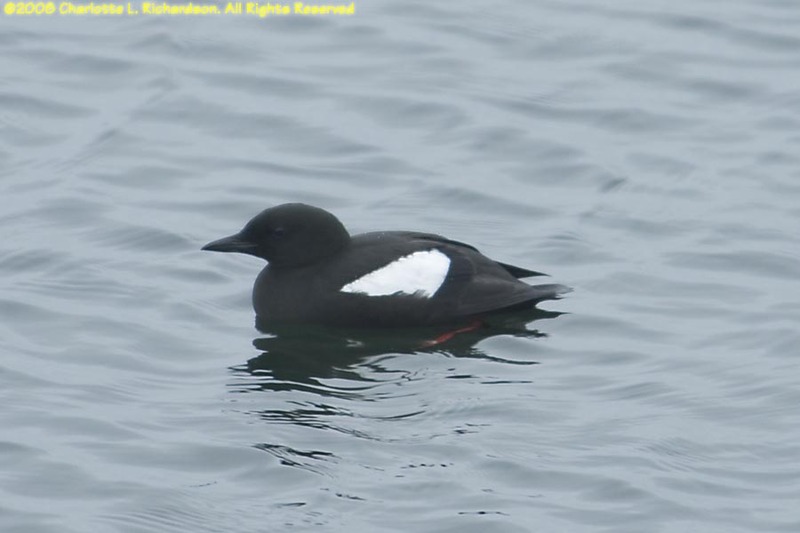 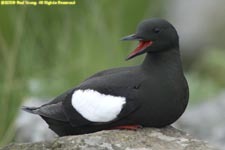 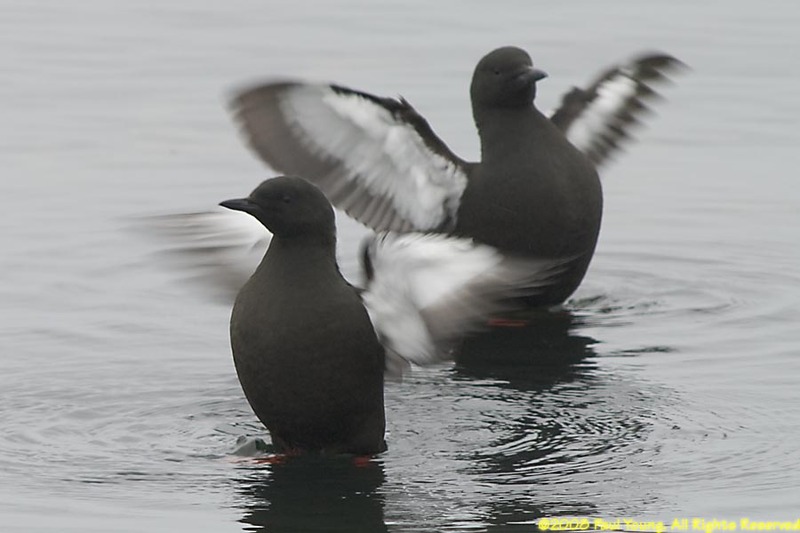 Black guillemots (Cepphus grylle) are the only Icelandic auks with a black breast. 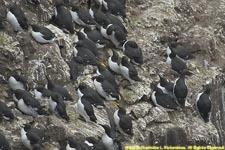 These birds were on Flatey Island. 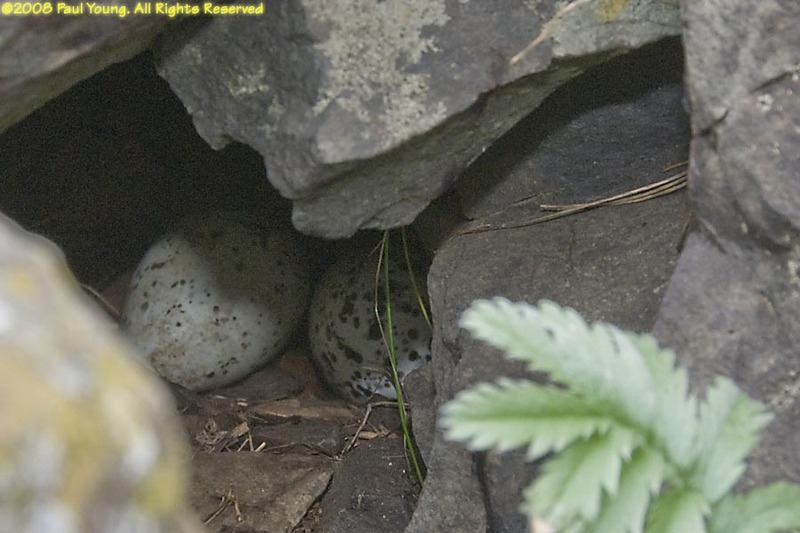 They nest in crevices between boulders. 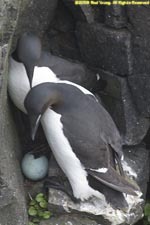 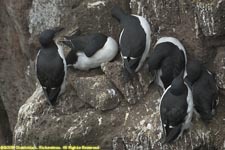 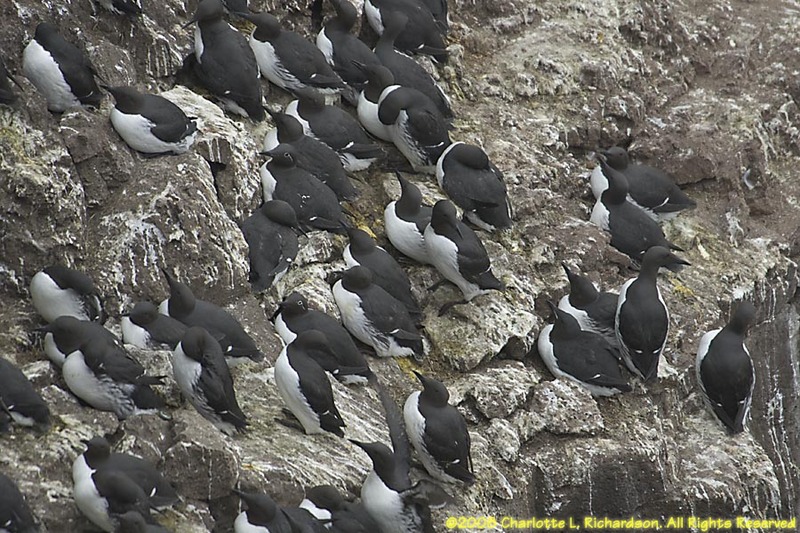 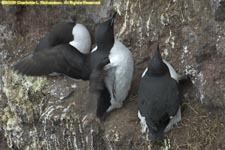 Mixed colonies of Brunnich's and common guillemots breed on the bird cliffs of west iceland. 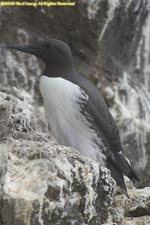 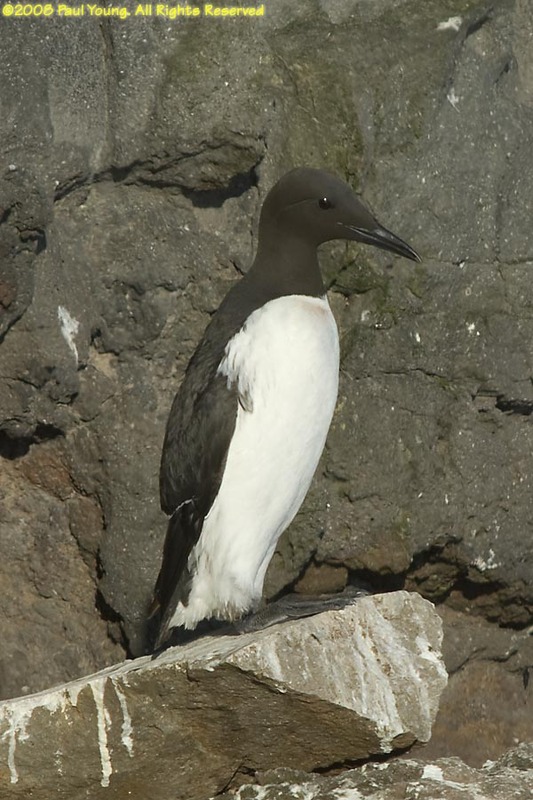 Brunnich's guillemots (Uria lomvia) are a rather large auk with a white stripe on the edge of the upper mandible. 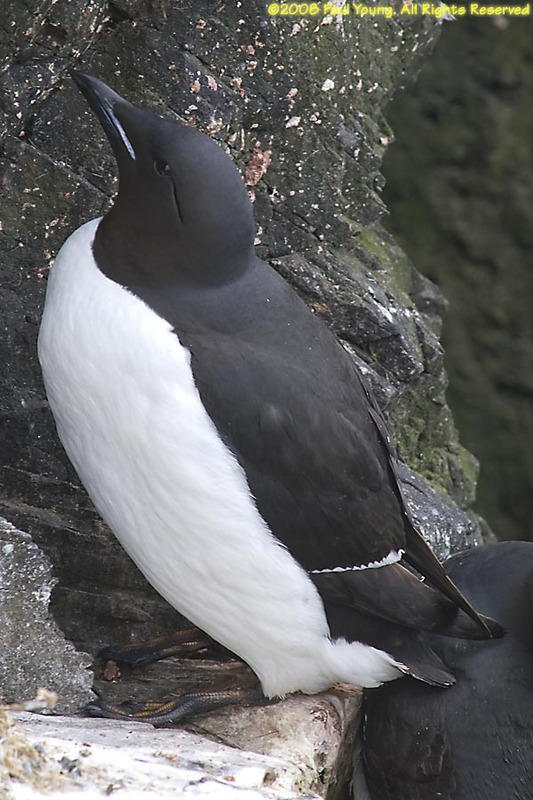 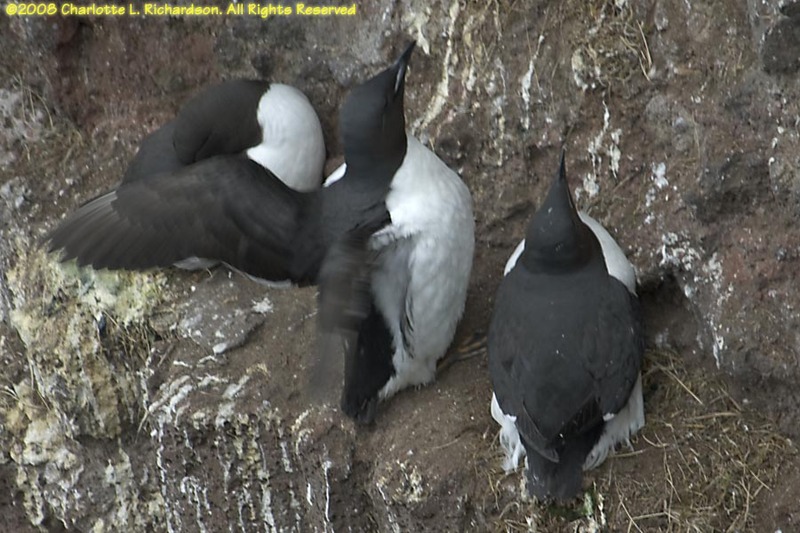 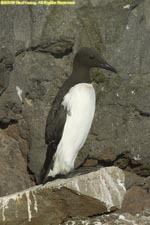 Common guillemots (Uria aalge) are similar but have dark streaks on their flanks. They may have a white ring around the eye with a white line running backwards and down.